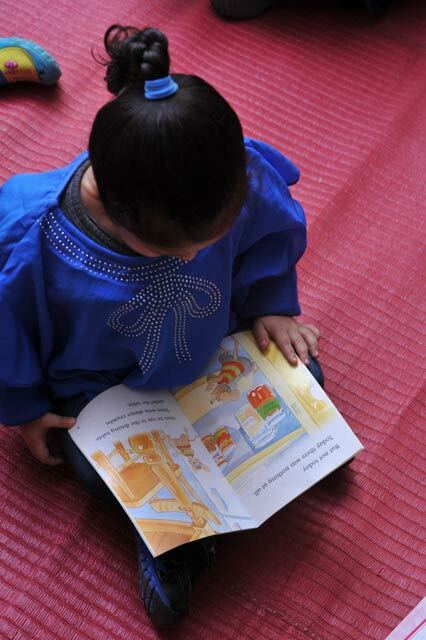 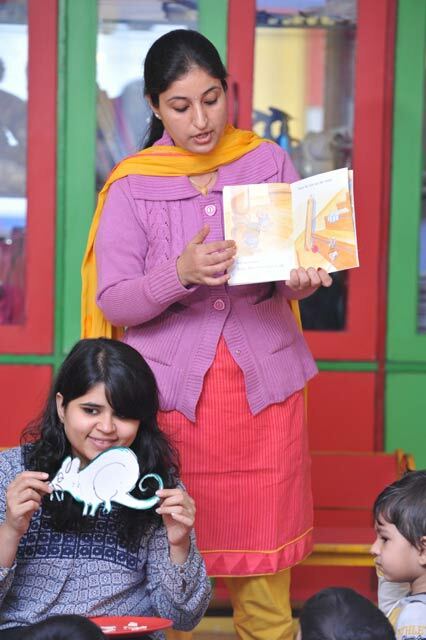 Stories strengthen the child’s understanding of language and appeals to their creative imagination. 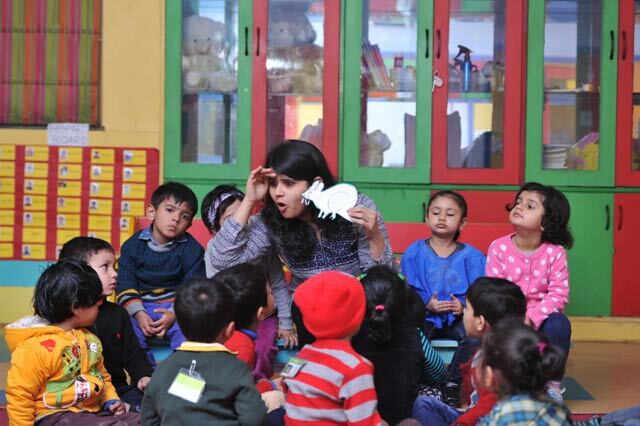 They are the best medium, to teach children and help develop the speaking and listening comprehension among the young ones. 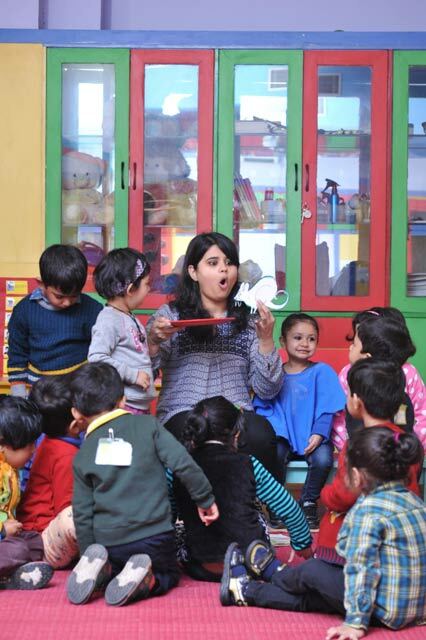 And if the story is told with the help of puppets and props, it becomes even more joyous for them. 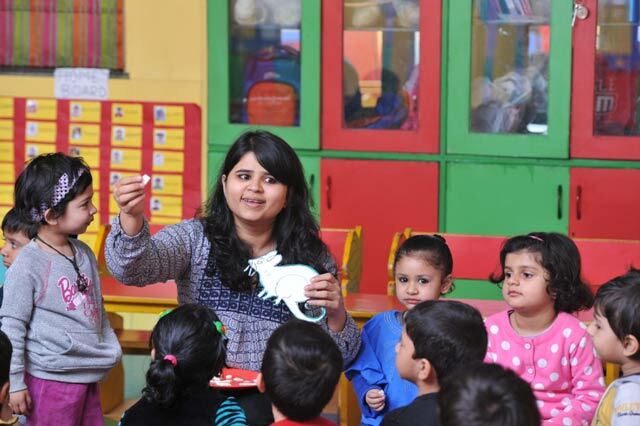 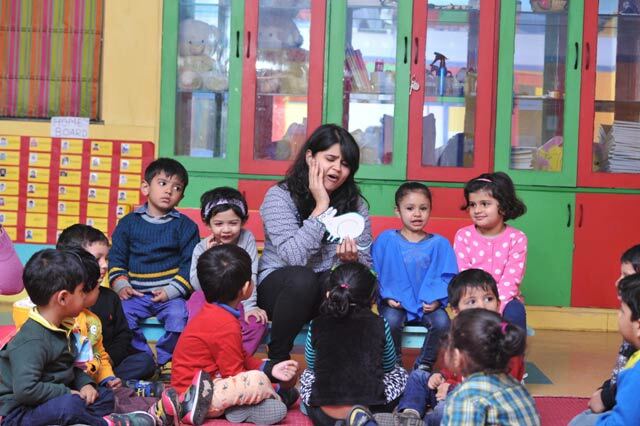 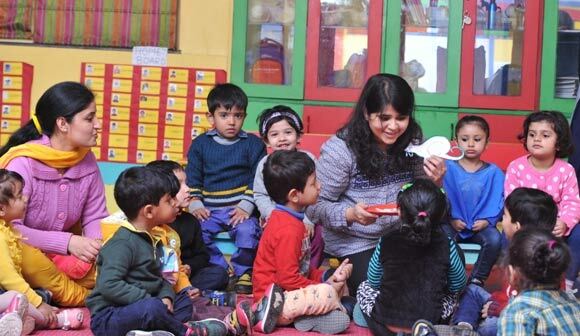 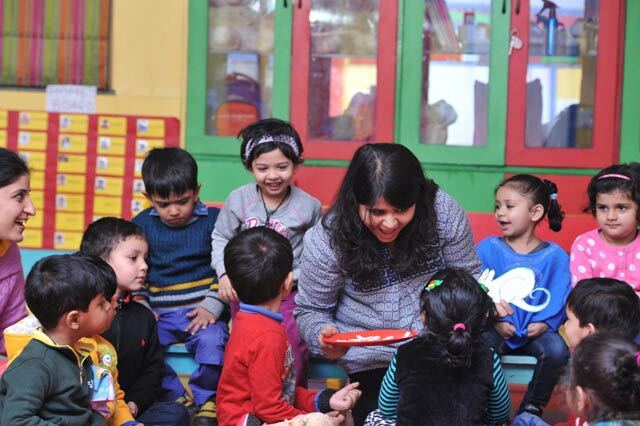 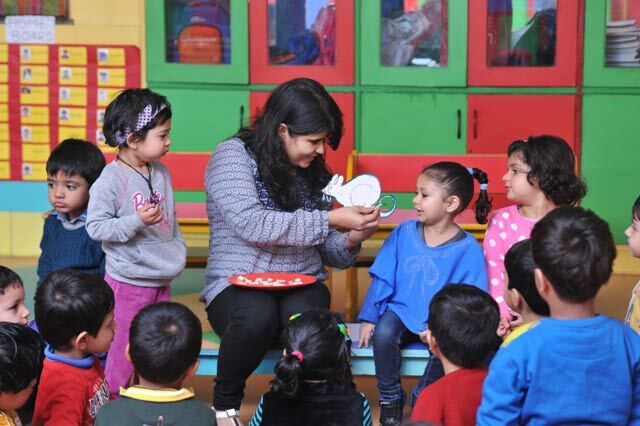 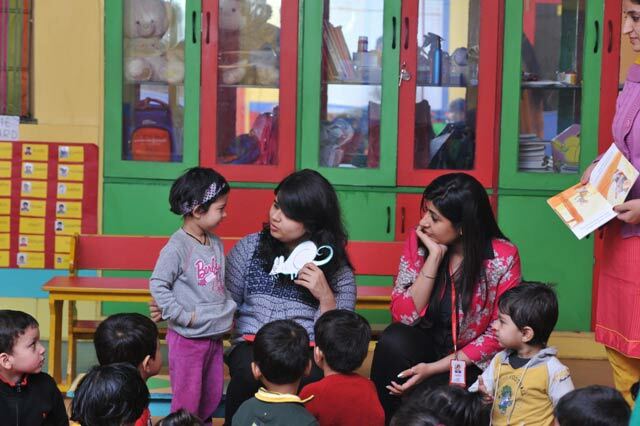 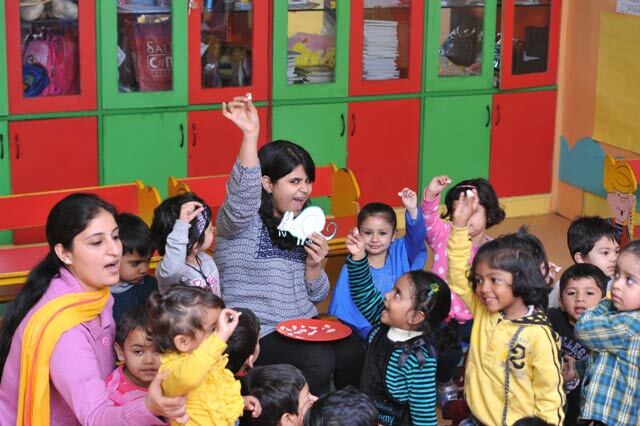 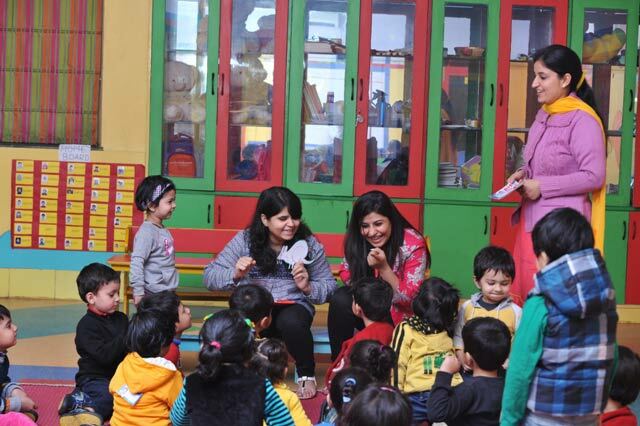 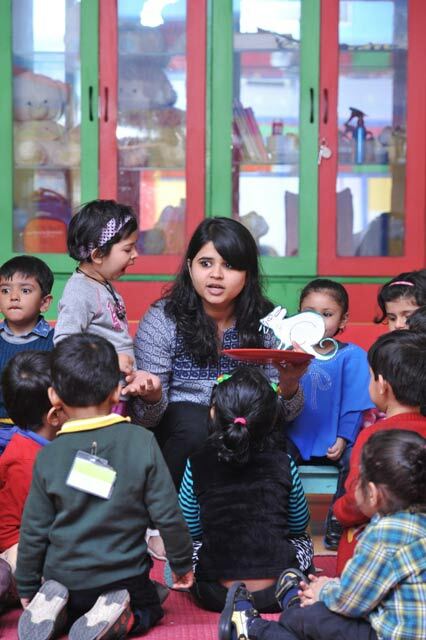 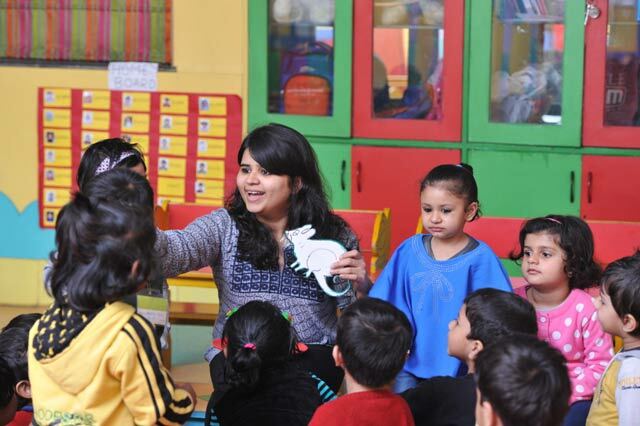 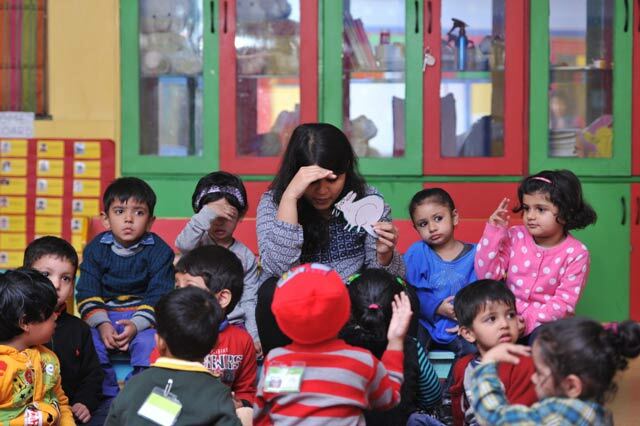 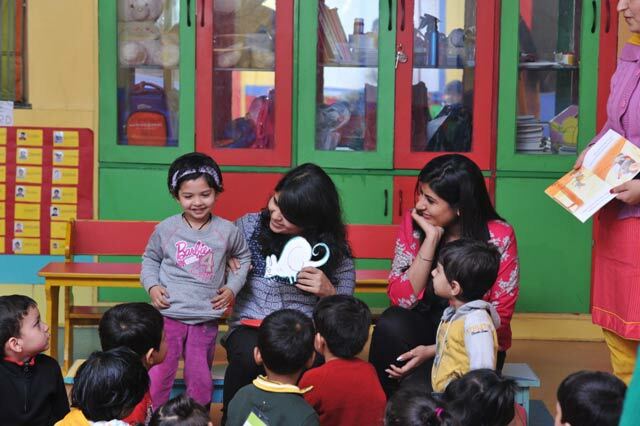 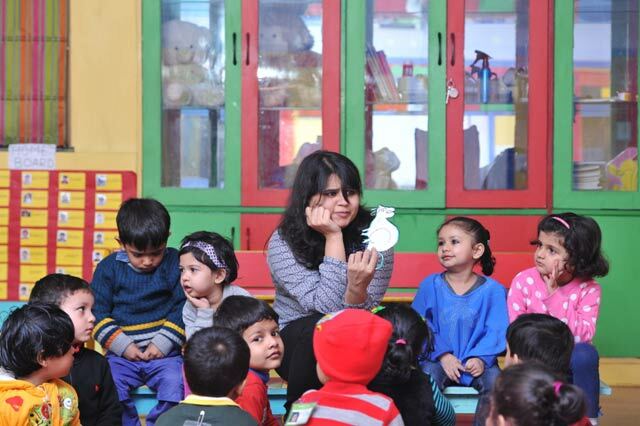 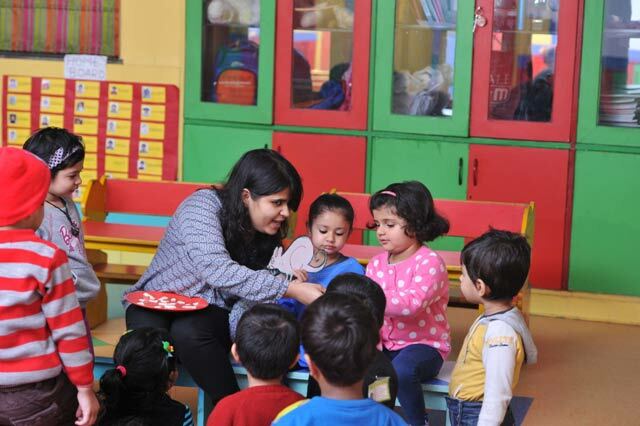 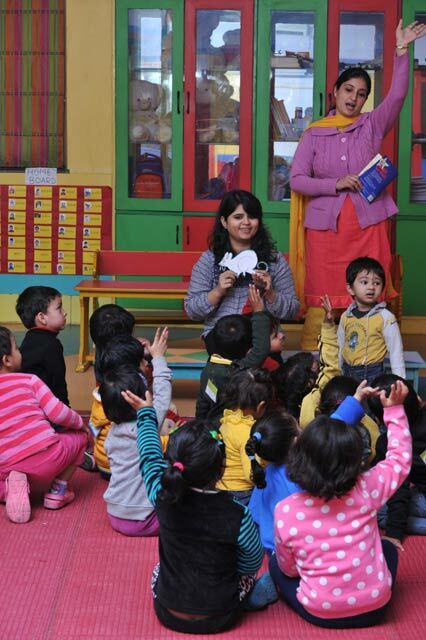 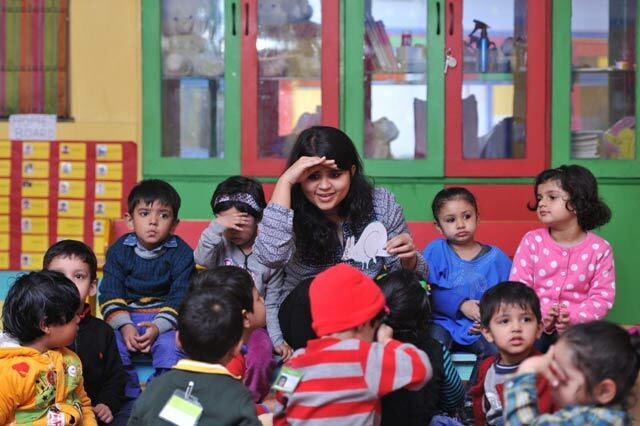 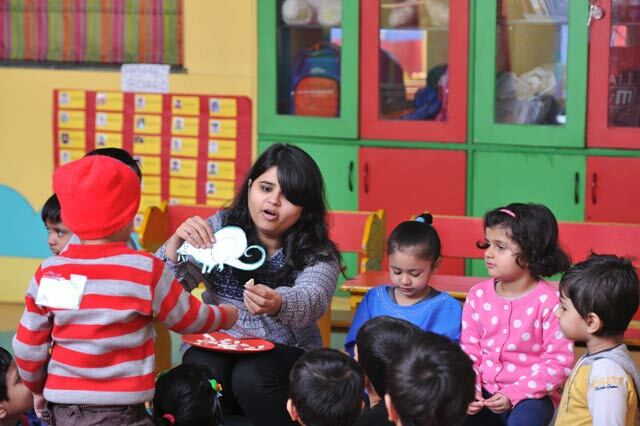 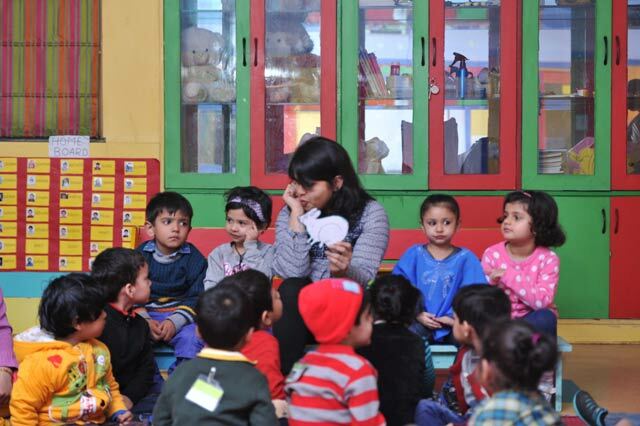 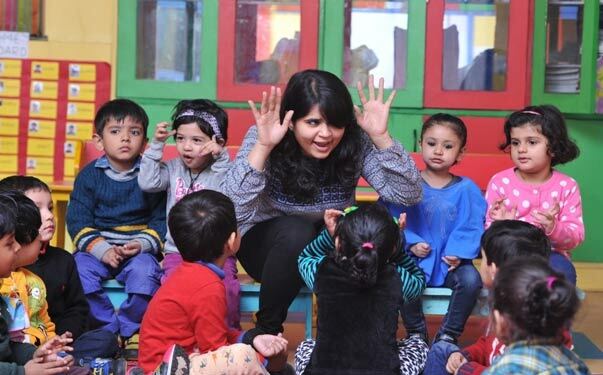 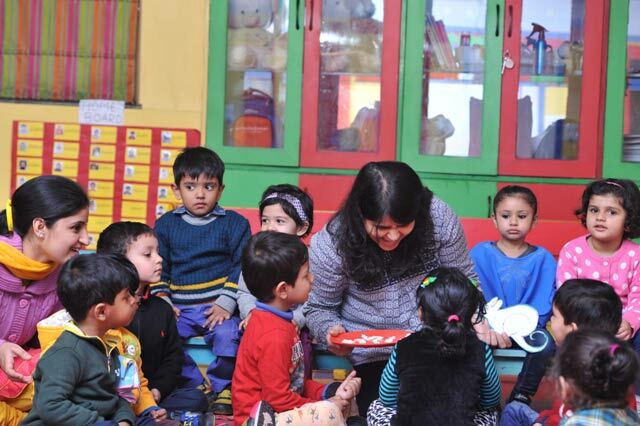 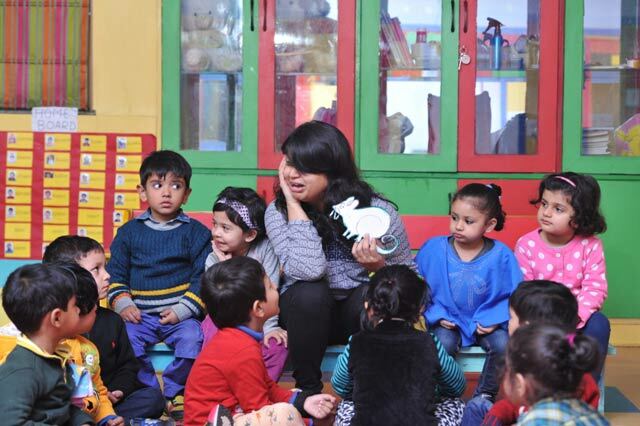 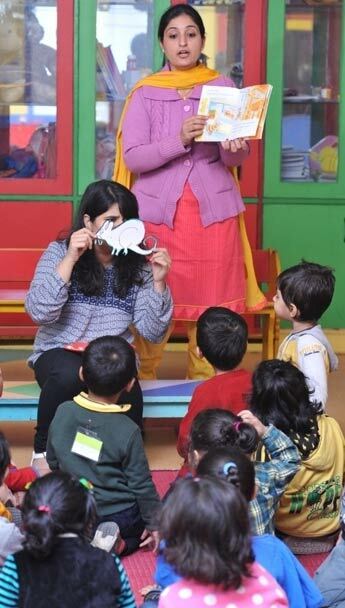 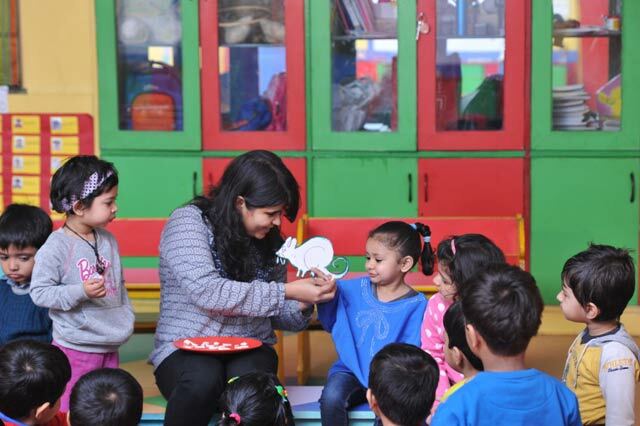 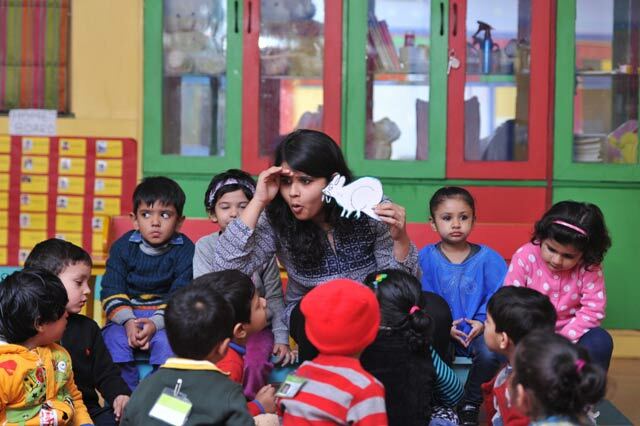 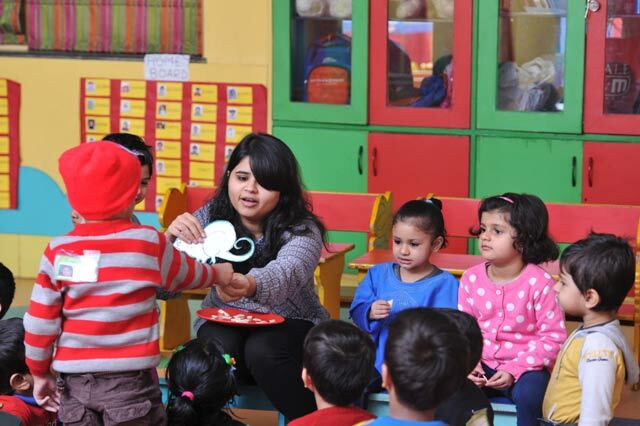 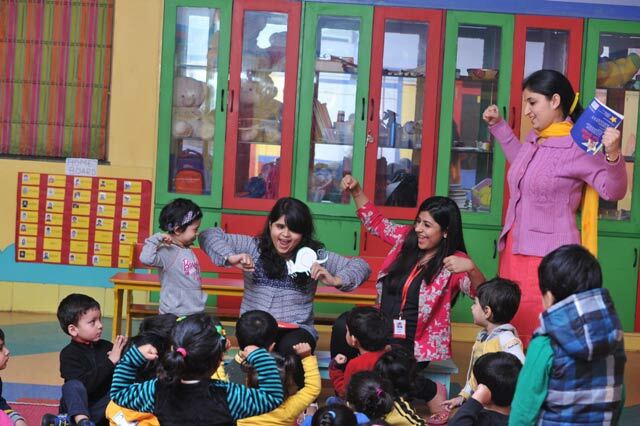 With this approach, a story telling session was conducted wherein ‘A bit too small’ story was narrated to the children with the help of mouse puppet and a dish filled with cheese. 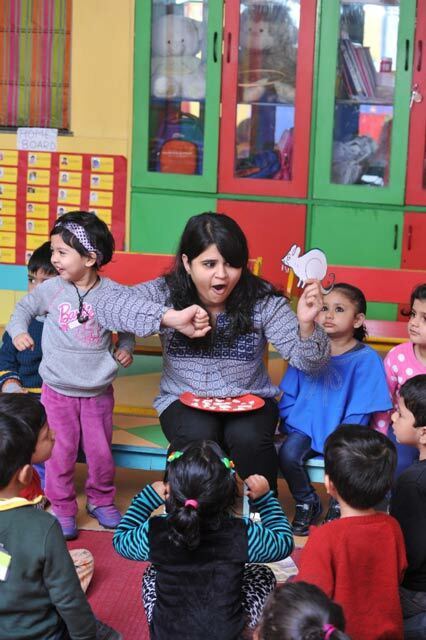 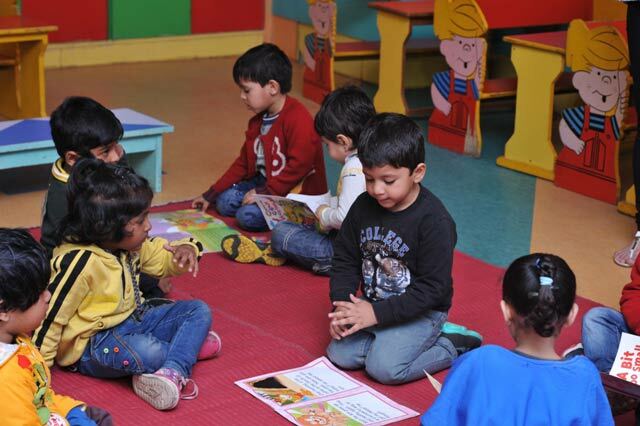 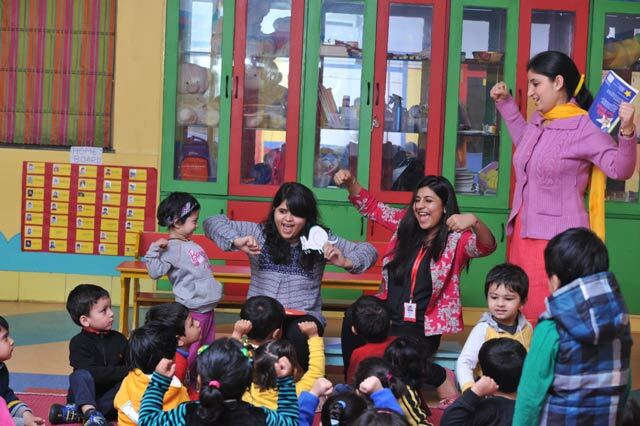 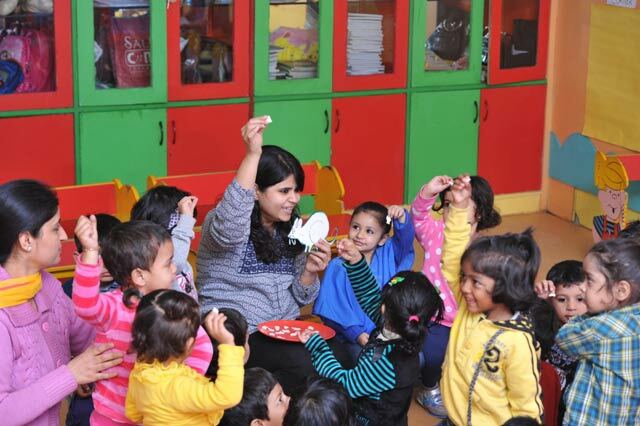 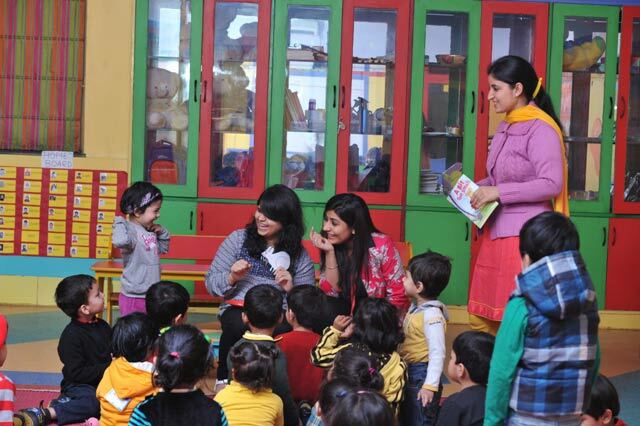 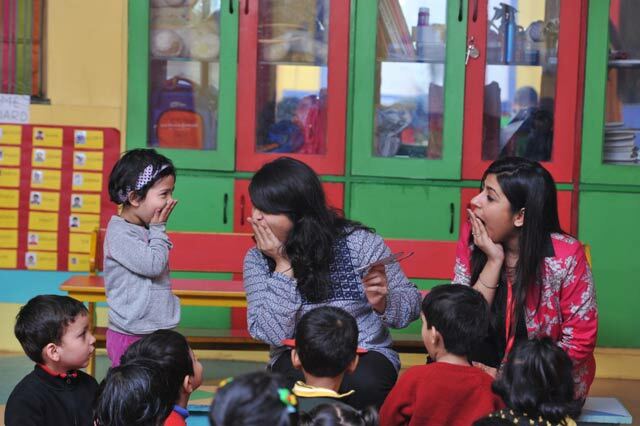 Children enjoyed the session especially the voice modulation brought in by the teachers to make it relatable. 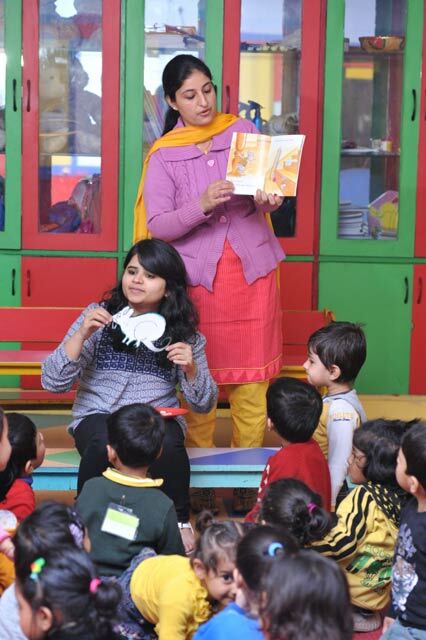 Children thereafter engaged in informal conversations, responded to questions and expressed their thoughts and ideas Children held the books properly, turned the pages and interpreted pictures in their words. 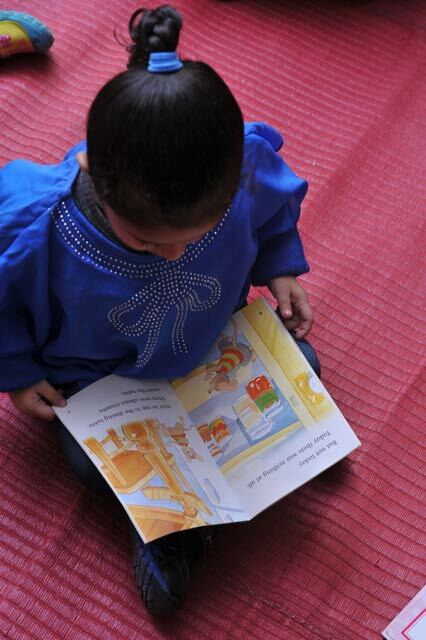 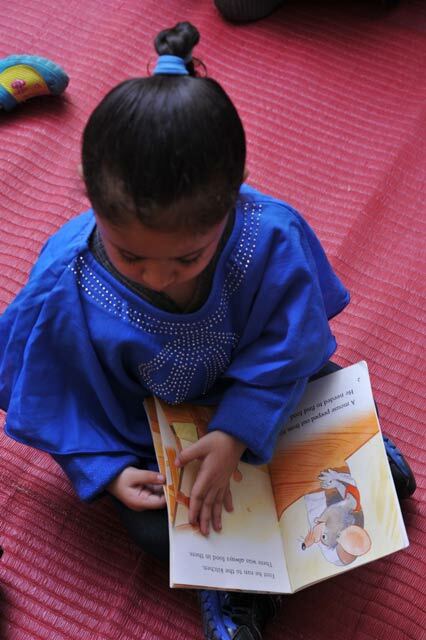 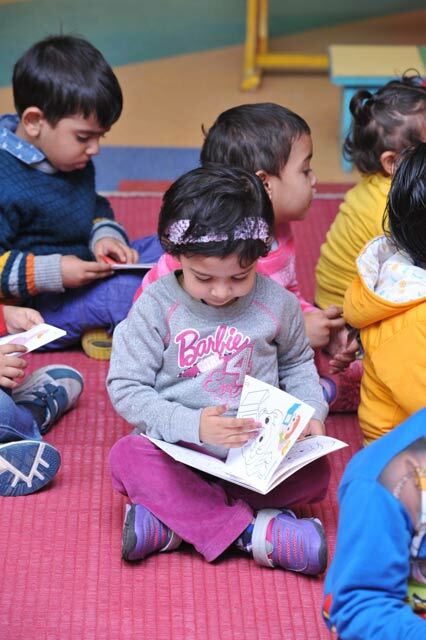 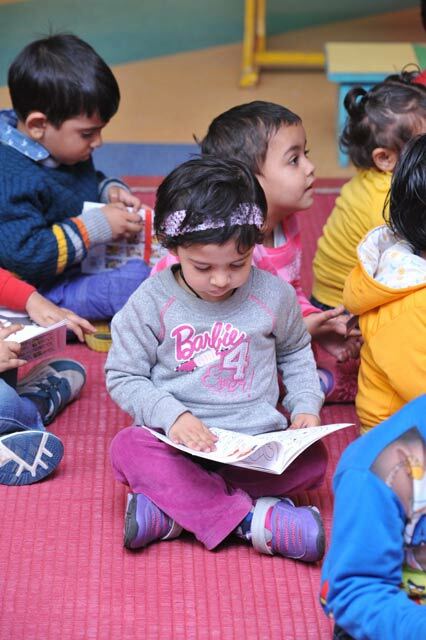 Flipping the pages helped in enhancement of their fine motor skills.